Its finally sweater weather doll and we got you covered. 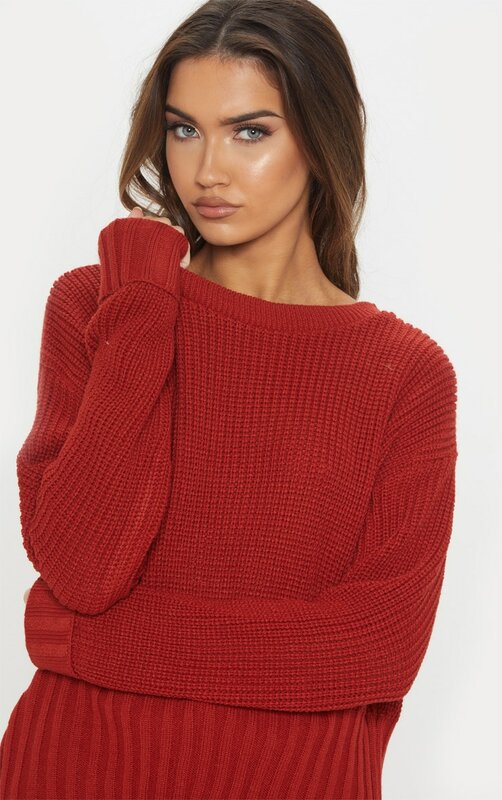 Featuring a rust knit material with a ribbed hem and long sleeves. 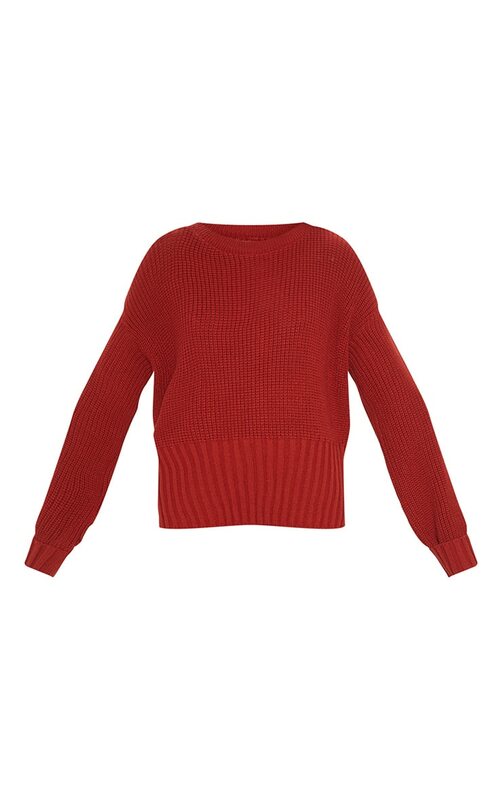 We love this teamed with leather pants and sock boots for a seasonal outfit we're loving.